Want to learn which are the best linux commands for java developers? You have come to the right page. 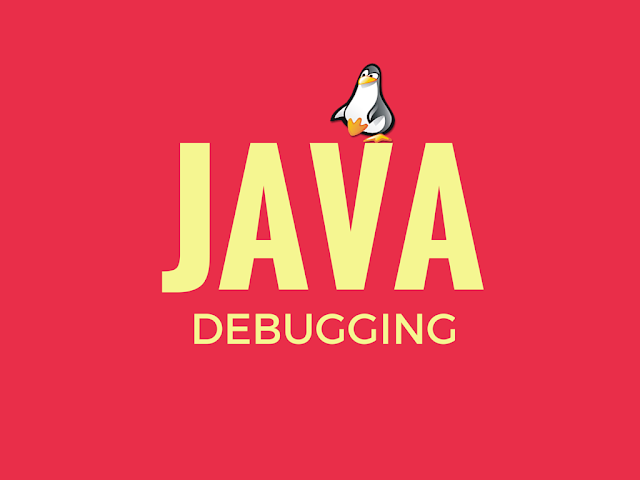 In this article we have listed down the most powerful linux commands that can be used by java developer to debug, monitor or analyze a java program on linux operating system. Linux is preferred operating system of most programmers and hackers mainly due to its robustness. Linux operating system is very powerful and if we know the correct tools to debug its much easier then any other operating system. Sometimes it gets very difficult to investigate issues on production system where we can use a very little debugging tools. This tutorial contains few good linux commands to be used while debugging Java processes on Linux/Unix environment. Even before you try to get deeper in to these commands checkout the basic linux commands you should know as a beginner linux user. This command lists the open file descriptors by a process on unix operating system. Here is short description from man output of lsof. An open file may be a regular file, a directory, a block special file, a character special file, an executing text reference, a library, a stream or a network file (Internet socket, NFS file or UNIX domain socket.) A specific file or all the files in a file system may be selected by path. This command is really useful when you are facing third-party library related issues and you can not make out which library is being used by your program. The output of the command shows the complete path of library files it has opened. In fact its interesting to see that lots of libraries are not loaded until required by your application. Below is a sample output of lsof command for a java process. How this can be used? If you look at the output above, this command shows the exact details of open files with absolute path. If there is an incorrect jar file in CLASSPATH being used by your java program then you can easily figure out the issue by looking at this output. This command gives the light weight process stack for a process. This is a really helpful command if you are debugging some issues like process run away or deadlock on production. Here is a sample output of a java process pstack. I have found this command really useful in case when we are trying to debug a java program with Multiple threads. Most of deadlock will be visible in the output of this command. Many times when we were doing CPU utilization issue debugging this command really helped. The thread, which eats most of the CPU cycle would be seen in running state in output and other threads may be waiting. This is really a powerful command as this can give you the exact java class and method names, just like a exception stack-trace. If you are debugging High CPU Utilization issue, then take 2-3 snapshot of your process and you will find the class and method call being repeated in your snapshot for the thread which is eating most CPU cycles. This command can be used in combination with pstack & jstack. The pstack and jstack commands use a thread id in the output, and using "ps -L" command you can see the light weight processes (unix threads) for your java process. This can help you to point to exact thread, which is causing problems. If you are interested to trace/monitor at system call level then this command can be used to see all system calls a process makes on Linux operating system. This is closest equivalent of "truss" command on the Solaris platform. System administrators, diagnosticians and troubleshooters will find it useful for solving problems with programs for which the source is not readily available since they do not need to be recompiled in order to trace them. I have taken a simple example of TestStrace.java, which has just a System.out.println statement as shown below. 1. System administrators, diagnosticians and troubleshooters can use this to debug programs for which source is not available. 2. If you are interested to know details of system calls made during Java process execution then this could be really helpful. The full strace output of TestStrace.java had 2963 lines in output, which can be a interesting thing to study and understand behavior of JVM system calls. -H : Threads toggle Starts top with the last remembered 'H' state reversed. When this toggle is On, all individual threads will be displayed. Otherwise, top displays a summation of all threads in a process. Note the Java lightweight process id (thread id) value from the top command. Now try to find the hexadecimal value inside the jstack output. This will show you the exact thread taking up the most CPU. Hope you found this tutorial useful. You may already be aware that there are many performance and memory analysis tools available for recent versions of java and one of my favorite is VisualVM. What tools are you using to debug java performance issues? There were really helpful commands, jstack helped me find the CPU utilization issue quickly on production. Keep posting great things. Great tips, thanks for info. I have recently been to JavaOne CommunityOne conference and attended a session which talked about JAva1.6 features. There is a open source tool called VisualVM which can be used with Java6 to do debugging even on production systems. This will be exciting to use. Just encountered this blog post about how to drill down to Java thread level using top command should be a great help too. Thank you. It helps me a lot to optimizing batch processes.